Home Articles 10 Desi Pick Up Lines That Will Make You ROFL! Valentine’s Day is here and we bet there will various Mooney-eyed Romeos, trying their luck to charm someone. Many try to impress their crushes and break the ice with filmy pickup lines, but end up freaking them out! But one thing we must all admit is that pick-up lines are outrageously hilarious. They might be corny and cheesy, but at least, we all get the laughs if not love. We have compiled a list of some desi pick-up lines that we bet will make you LOL! But don’t risk using them on your date tonight! You surely don’t want to have a break-up on the international day of love! 1) Goli Marun, Ya Marun Line. Will You Be My Valentine? 2) Baby are you from Turkey? Because, when I see you I become Tharkee! 3) You are the andaa to my paratha! 4) I love you like Sheikh Rasheed loves Biryani! 5) Are you Lahore Ki Smog? Because You Just Took My Breath Away! 6) What do you and Karachi’s weather have in common? You both are hot. 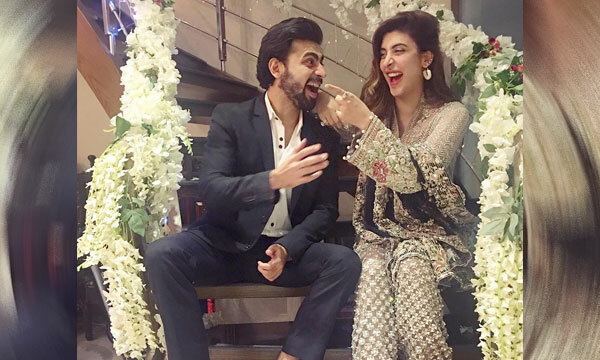 7) Will you be the Urwa to my Farhan? 8) Are you gulab jamun? Because nothing is sweeter than you! 9) If you like bananas come with me cause I’m akela! 10) You are hotter than my amma kay haath ki nihari! Had a good laugh? Share it with your friends below. Previous article5 New Eateries in Karachi to Try Out This Valentines Day!